on Worker's Comp Insurance Premiums. 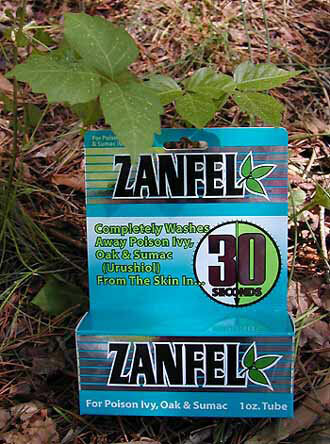 Zanfel® Poison Ivy, Oak & Sumac Wash is a safe and effective soap for poison ivy, poison oak, and poison sumac. It is the only product known to remove urushiol, the toxin responsible for the reaction, from the skin ANYTIME after outbreak, enabling the affected area to immediately begin healing. After using Zanfel®, the itching and pain are the first things to be relieved, usually within 30 seconds.